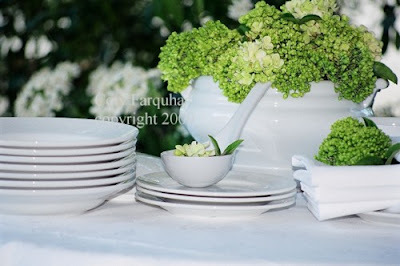 I can't keep my hands off beautiful white objects, bowls, plates and little dishes. The very first dinner set that I ever bought for myself was French Pillyvuyt, (I think I spent my entire weeks wage on it) I worked at Vogue Entertaining Guide magazine at the time and I was sourcing tableware weekly for the table setting stories, I think I actually became addicted to china then, we used everything from Wedgwood through to colourful hand painted Mexican plates. My all time favourite, "white" I loved it then and I still love using white now. I bought ten of everything, 10 dinner, entree, bowls and bread and butter. Since then I have collected many other white items, not all French but they all match of course, they're white. 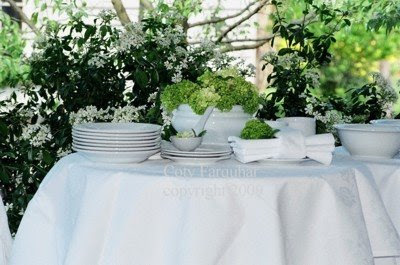 I decided to mix both my table settings (Tablescape Thursdays) and my outdoor stories (Outdoor Wednesday) this week as I'm about to be lost in meetings for the next couple of days. Thank you to all who leave comments for me, I just love receiving them and I absolutely treasure them all. Happy Outdoor Wednesday Coty! I always enjoy visiting your blog because the pictures are GORGEOUS!! (I am not a good picture taker!) Beautiful shade of green with the white! As we celebrate spring I look forward to seeing your autumn and winter pictures from your region!! Such gorgeous photos -- a true delight for the senses! 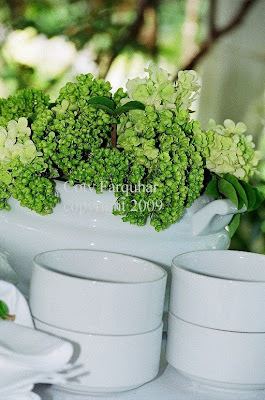 I collect white milk glass: cups, urns, bowls, vases... they are a natural when paired with green. You tweaked my heartstrings with the white. The very first dishes I ever purchased were white, and I still have them. And, I use them more than any of my other dishes. Everything reflects your exquisite eye for beauty. Green and white looks so fresh. What is the dusting over the grapes and leaves. Is it confection sugar? I just looked at your sugar segment. So it is a dusting of sugar. Love the idea. Thanks. 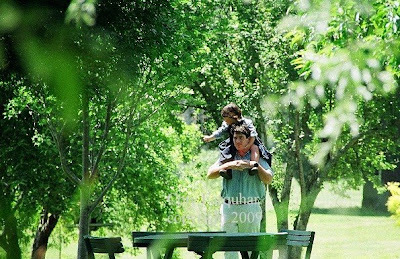 I'm happy you are participating in Outdoor Wednesday as it gave me the opportunity to discover another amazing person and blog! I love your photographs of the lovely white dishes amongst the fruit & flowers. All the green & white. Just beautiful photography! Thoroughly enjoy your blog. Lovely photographs. Your expertise shows. Thank you so much for sharing. So beautiful!! Can't wait to see what you have for pink Saturday! 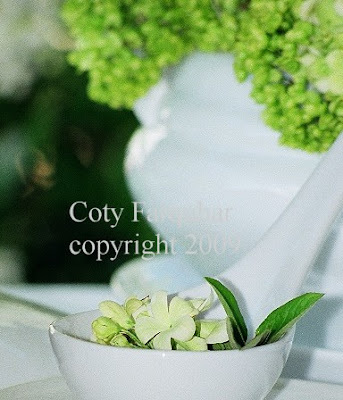 I love the bright colors of spring, but must admit I think I like the simplicity of the green and white even better! Every year I want to do my back yard in ferns, hostas, and white impatience and my husband holds out for color---might put my foot down after seeing these pics :) Beautiful! 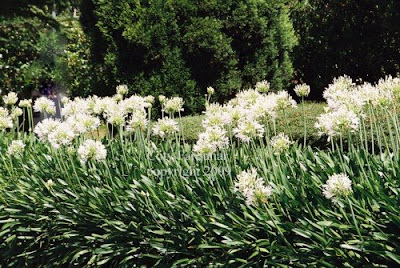 In the early 1980's, I began collecting Mikasa French Countryside as an everyday china. All these years later, I still love it and continue to add pieces of the pattern as well as buying other white dinnerware, to mix and match with the Mikasa. It's so versatile! And food looks wonderful, served on a white plate! 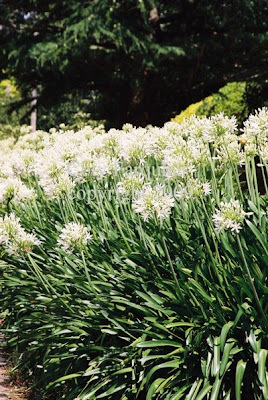 Love the green and white, so natural and soothing! Your photography is amazing, you have so much talent in so many different areas! Thanks for sharing! 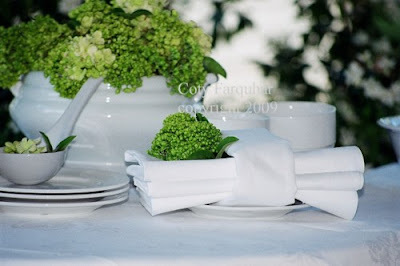 White and green are lovely together and your table looks marvellous! 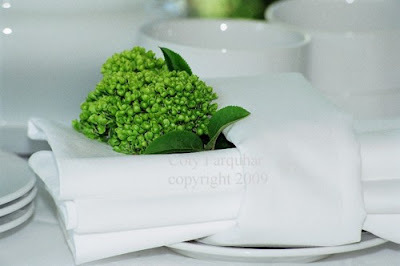 I love green & white, so fresh & crisp and I think your table settings are stunning! Beautiful setting and table centerpieces. I love to do events. Wish I could do more of them. I would like to visit australia sometime. 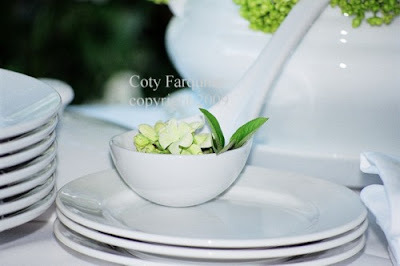 Coty, I adore Pillyvuyt...there is such a pleasure in setting the table with the whites. Mix in those gorgeous Greens, and it's magical! Your photos, as always, are beautiful. Absolutely stunning!!! 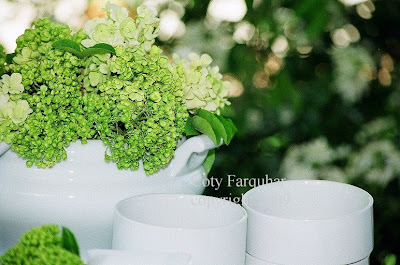 I love white & green together. So refreshing. You always give us something to aspire to. Thanks! 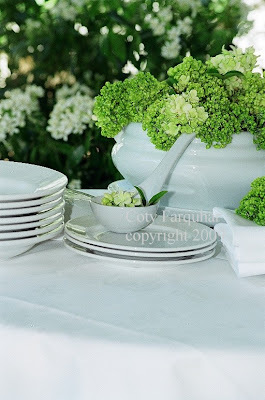 Fabulous green & white - it really doesn't get much better. 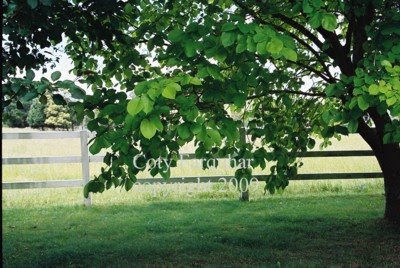 One of my very favourite Coty posts! !